Classes are the primary vehicle through which we help you learn information needed to follow Jesus closely and passionately. Classes are intended to help you learn information necessary to be transformed into a passionate Christ-follower. As we are being transformed there are 8 areas of life that will be impacted and therefore, reflect the on-going transformation. We refer to these as our 8 products. Our classes are designed with these products in mind. We regularly offer classes that help you learn the information necessary for these products to develop in your life. Classes run varying lengths of time and meet at various times throughout the week. Check back soon for a listing of upcoming classes! 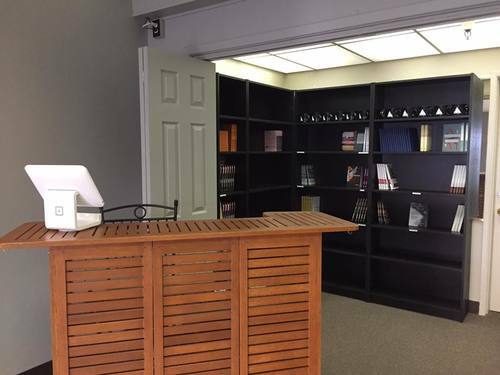 The “Book Nook” exists to provide resources to help in this transformation process. If you are taking a Crossroads class, you may purchase your student guide or book here. We also offer a variety of books to assist you as you seek to become a passionate Christ-follower. Visit us before or after the Thursday 6:30pm service in the South Venue or after either Sunday service in the Café.